The Juno, a stylish and unique womens ankle boot is full of fun, featuring simple lines and luxurious materials combined with a comfortable stiletto heel. 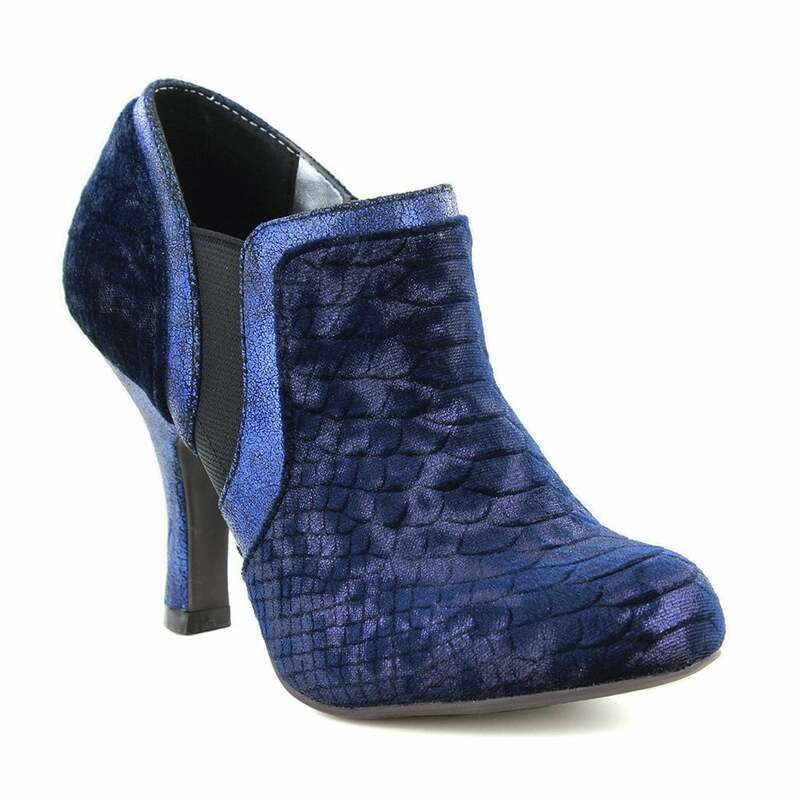 The Ruby Shoo Juno womens ankle boot is here in rich blue snake effect crushed velvet, and highlighted with beautiful toning metallics. Fastened by a zip on the inside and featuring an elastic panel for ease of wear.